GE attempts to send a snowball to Hell – and bring it back safely. Impressive CGI video production by Toshiba, with a robotic hand that gently helps to upgrade the landscape with wind power, solar energy, and electric transportation. Man against machine. The unbelievably fast KUKA robot faces off against one of the best table tennis players of all time. Who has the best technique? Who will win the first ever table tennis duel of human versus robot? Duval Guillaume Antwerp seduced the Cannes jury again. 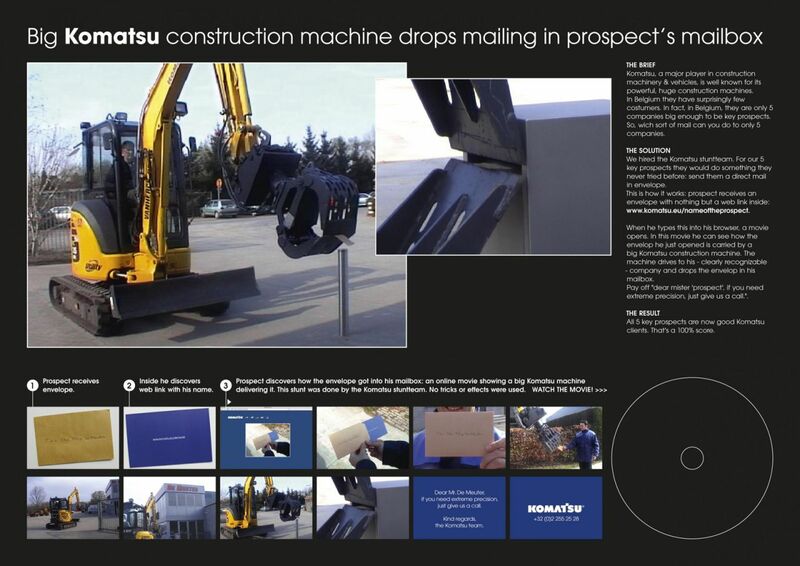 This year they won a bronze Lion with the Komatsu direct mailing campaign.